The AR-15 is the most popular sporting rifle in America. Its versatility is unsurpassed, whether it is target shooting, competing, hunting, or home defense, the AR-15 delivers all-round performance where other rifles fall short. Primary Arms features a vast selection of the AR 15 rifles for sale from top manufacturers in the firearms industry. Choose which rifle caliber is best for you from several options we offer, like 223 Remington, 223 Wylde, 5.56 NATO, 300 Blackout, 224 Valkyrie, 7.62x39 and more. For more information about the AR-15 and to help you choose the right model, visit our AR-15 Buyer’s Guide. Buying an AR-15 is like riding on the back of a bald eagle, waving the stars and stripes, and landing on Mount Rushmore as fireworks explode behind you. Okay, maybe not exactly like that. But, the rifle has become almost as synonymous with America as all of those culturally iconic things are. The AR-15 is America’s rifle, and for good reasons. It’s a simple, yet elegant and efficient design – versatile in its capacity to perform across a wide array of applications. The inherent modularity of the platform lends itself to customization, personalization, and fine-tuned performance. In short, it’s as American as a muscle car or a Harley Davidson – and we love them for many of the same reasons. Not insignificant to any of the three is the badass factor. Eugene Stoner is the mind behind the genius mechanical creation we all celebrate and enjoy today. In the mid-1950s, Stoner worked as the chief design engineer for ArmaLite, a small engineering division of the Fairchild Aircraft Corporation. The US Military was on the hunt for a new, semi-automatic battle rifle chambered in 7.62x51mm NATO that would bring our defense forces’ armaments out of the WWII-era and into the future. Stoner’s prototype AR-10 – the elder sibling of the modern AR-15 – was presented as a candidate for consideration. Many other firearms manufacturers offered up their designs as well, all seeking to replace the old, heavy, and capacity-deficient M1 Garand as the military’s rifle of choice. The AR-10 didn’t hold up. Against the will of Eugene Stoner, ArmaLite presented the military with a version of the AR-10 that had an aluminum and steel composite barrel, intended to impress the testers with its light weight. That decrease in weight came at the expense of the rifle’s ability to stand up to the demands of the test, which burst both the barrel and any hopes the AR-10 had of winning the hearts or the dollars of the United States Military. It was not long, however, until battlefield requirements in Vietnam called for a new innovation. General Willard G. Wyman saw an opportunity to outfit soldiers with an even lighter weight rifle, using a smaller caliber of ammunition that could be just as lethal as the 7.62x51mm so that infantrymen could carry larger volumes of ammo into the field, increasing their opportunity for success against the enemy’s AK-47 rifles. From this necessity, Stoner went back to the drawing board, scaling down his AR-10 design to accommodate this new need. Thus birthed the AR-15, the platform we have come to know today. In the late 1950s, the patent for the AR-15 design was sold to Colt, who sold the rifle under the co-branded name Colt ArmaLite AR-15 Model 01 and would market it to military services around the world. It would still be a few years of battlefield and proving ground testing before the AR-15 would be adopted under the military’s designation of Rifle, Caliber 5.56 mm, M16, but the smaller, lighter caliber’s softer recoil and increased capacity for carrying ammunition would prove to be the winning combination that would elevate the AR-15 to it’s legendary status in military circles. The real magic for the civilian markets that were clamoring after the AR-15 began when Colt’s patent on the design expired in the 1970s, opening the door for other manufacturers to begin creating AR-15 pattern rifles, parts, and accessories. The fact that the platform had a MIL SPEC designation meant all companies had to do to ensure their parts could all be interchangeable and useable for any AR-15 was follow the specifications set forth by the military. The rest, as they say, is history. As the decades have past, manufacturers have filled the increasing demands for better, more reliable, cooler-looking, and higher performance AR-15 components and rifles. So… Want to get your hands on one of your own? There are a lot of choices to consider when shopping for your next complete AR. Not to mention the wide array of configuration options that complete rifles offer which dictate the performance capabilities of your new gun. What’s important to consider when looking for a new AR-15? Many well-known manufacturers in the firearms industry have built their reputations around the AR-15 platform. Buying a complete AR-15 from one of these top brands can be a perfect way to get a high-performance rifle, tuned and assembled by the experts, ready for action right out of the box. Beyond choosing a manufacturer or price point that fits your budget when buying your new AR-15, there are a few configuration options that will need to be considered. The purpose of your rifle is largely going to dictate your choice between these different configurations and the characteristics they will give to your new AR. There are also laws to be aware of that will potentially dictate the rifle’s legality in your state. Let’s break down what you need to know before you buy a complete AR-15. It should come as no surprise that when you buy an AR-15 you are purchasing an item that is legally classified as a firearm, and therefore cannot be purchased without filling out the necessary paperwork and having a background check performed at a Federal Firearms Licensed retailer. As opposed to building a rifle yourself, where the only part you need to pick up at the local FFL is your AR lower – and all the other parts come to your door – an assembled rifle must be transferred through an FFL retailer. The National Firearms Act, or NFA, classifies certain firearms differently from the majority of handguns, shotguns, and rifles out on the shelves at the Gun Store. Some AR-15s are considered NFA Items, while others are not. The ones that are regulated by the NFA require a $200 tax stamp and an extensive application process in order to own and possess them. If an AR-15 has a barrel less than 16” in total length, it is considered a “short-barreled rifle” and is an NFA item. Additionally, if the rifle’s overall length is less than 26” it is also considered an NFA firearm. Be sure you know these two measurements when considering purchasing a new AR-15. Many states in our country have strict laws as to what features of an AR-15, when present, constitute the rifle as an “assault weapon” and therefore make it illegal to manufacture, buy, or sell. Some states restrict all firearms magazines to 10 rounds or require the magazines to be non-detachable. Some states ban the use of a moving stock, requiring a stock that is fixed in length. In certain cases, the presence of a pistol grip – which is defined as a grip that extends down at an angle from bore line – or a grip that allows your thumb to wrap fully around the grip, like a stock with a thumbhole, are banned from use. Many states outlaw forward-placed vertical grips and even flash suppressing muzzle devices. Being sure you have done your research on the laws within your state to ensure your compliance is absolutely crucial. It is your responsibility to make sure you don’t break the law when buying a new complete rifle. There are numerous factors to consider when purchasing a new AR-15 in order to get the most out of your rifle, but sometimes all those different options can get overwhelming especially if this is your first ever rifle purchase. Don’t get bogged down, let us simplify it for you and break down how to choose the best AR-15 for you. Aside from the legal reasons we discussed above, there are a variety of reasons to consider various lengths for your rifle. Some applications favor a shorter overall size for your rifle, like home defense rifles or certain caliber loadings that burn powder more quickly. Longer rifles can be more accurate or achieve higher velocities with certain loadings. It is a common misconception that a longer rifle will be more accurate by default, and while that’s not universally true, it can be true in certain rifle configurations. The AR-15 is most commonly available in 5.56x45mm NATO or .223 Remington, but with the rise in the platform’s popularity has come the demand for different calibers. Complete AR rifles feature manufacturer-tuned set-ups in popular new calibers like 300 BLK --which is a suppressor-friendly loading popular for home defense and short-range hunting -- and .224 Valkyrie, which has gained a following of shooters looking to squeeze the most distance and accuracy potential out of their AR-15 for target shooting. The list of calibers that can be fired out of an AR-15 is a long one, another reason why the platform is so popular. The modularity of the AR-15 means you can buy one rifle, and a selection of other component that can be swapped into or out of the rifle, and have a firearm capable of utilizing multiple calibers for a variety of applications. This is something very much unique to the design of the AR-15 and the subsequent innovations that have come about as a result of it. An AR pattern rifle can fire anything from small, low-power rimfire ammunition like .22 LR or .17 HMR, to common pistol cartridges, all the way up to large-bore .40-caliber bullets that pack a real thump. Here is a list of some popular caliber options for your new AR rifle. The AR-15 platform is operated by using a small portion of the propellant gasses that propel the bullet, redirecting them back into the operation of the firearm to push back the bolt carrier group, eject the spent cartridge casing, and chamber a new round. This action is performed in one of two ways, and you will need to consider which gas system type might be the best for you. The first, and most common way that a rifle achieves this function is with a direct impingement gas system. This system works by directing gasses through a hole in the bore of the rifle into a small tube. That tube enters into the upper receiver where it engages the gas key on the top of your bolt carrier group, pushes it rearward into the buffer assembly, and cycles the rifle. This was Eugene Stoner’s original design for the AR-15, and it is by far the most common configuration. That means replacement parts will be easy to find from many different manufacturers and cheap to buy. The other gas system option for cycling the rifle is the piston-driven AR. This rifle operates more similarly to the AK-47, directing gas out of the barrel and into a chamber that is occupied by a piston. As the gasses expand into the chamber and displace the piston, the piston acts upon an operating rod with a spring coiled around it, pushing it rearward into the action of the rifle. Once the rod enters the upper receiver and engages the bolt carrier group, the two processes operate the same way. The bolt carrier group moves rearward into the receiver extension and buffer assembly, ejecting the spent round and chambering a new one when it returns. Some of the key differences between these two configurations also need to be considered. Some people prefer the piston system because none of the gasses from the spent cartridge ever come in contact with internal components inside the upper receiver. Propellant gasses contain carbon, which will cause buildup and fouling around critical parts inside the rifle, meaning more frequent cleaning is necessary with a direct impingement gas system. Piston systems also run cooler, although marginally so. Piston rifles will generally be more expensive and harder to find as only a handful of manufacturers make piston-driven AR-15 complete rifles, such as Adams Arms, Sig Sauer, LWRC, and few others. If you are thinking about adding a suppressor to your complete AR-15, a piston-driven rifle will be less reliable than a rifle using a direct impingement system, especially if your direct impingement system includes a gas block that allows you to adjust the amount of gas flowing into the gas tube from the bore. Choosing the best AR-15 for you comes down to what you want the rifle to do and what fits your budget. AR-15s in standard MIL SPEC configurations are incredibly versatile, and a great place to start if you are buying your first AR. These rifles will be great for target shooting fun on the range, as well as varmint hunting. They’ll also be very affordable in comparison to other more specialized configurations, so if you’re on a tight budget, consider those options. However, for just a little more room in the budget, you can get a complete AR with upgraded components that will go a long way in improving your rifle’s capabilities. Moderately priced AR Rifles will have factory-tuned and pre-installed enhancements like floating hand rails and upgraded internal components to increase the rifle’s reliability, accuracy, and longevity. If you’re serious about diving into the AR-15 platform, it’s a worthwhile investment to kick in a little extra cash and get these upgrades. High-end AR-15 manufacturers stake their reputations on the unparalleled quality of their rifles and products. 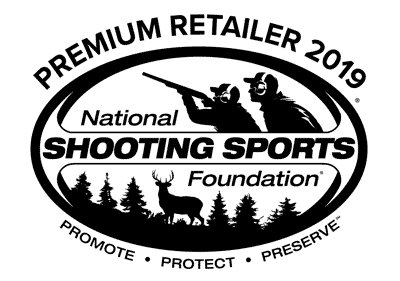 If you are looking for serious performance for hunting, target shooting, home defense, or any other application, you can rest assured that with these brands you will get every dollar’s worth of price you pay. People who trust their lives to AR rifles every single day trust these top brands to build the best rifles that money can buy, and they deliver. If your next AR has to be utterly uncompromising in its ability – be it on the hunt, on the range, or defending what matters the most to you, -- you can buy from these brands with the utmost confidence. Now that we’ve covered what you need to know when shopping for a complete AR-15 rifle, you can feel confident in your ability to identify the right rifle and configuration set-up for your needs and your budget and make a purchase with confidence. If you ever have any questions, about rifles we sell, about a purchase, or anything at all firearms related, our customer service and firearms specialist team is ready to help. Welcome to the AR-15 obsession and thank you for choosing Primary Arms!